YouTuber ぎわちん。 reviews the Daiei Large Monster Series Gamera 1999 RIC Exclusive vinyl figure site by X-Plus. 大映特撮編ガメラ1999 大怪獣シリーズ 少年リック限定版. This RIC version came with an extra, interchangeable head. 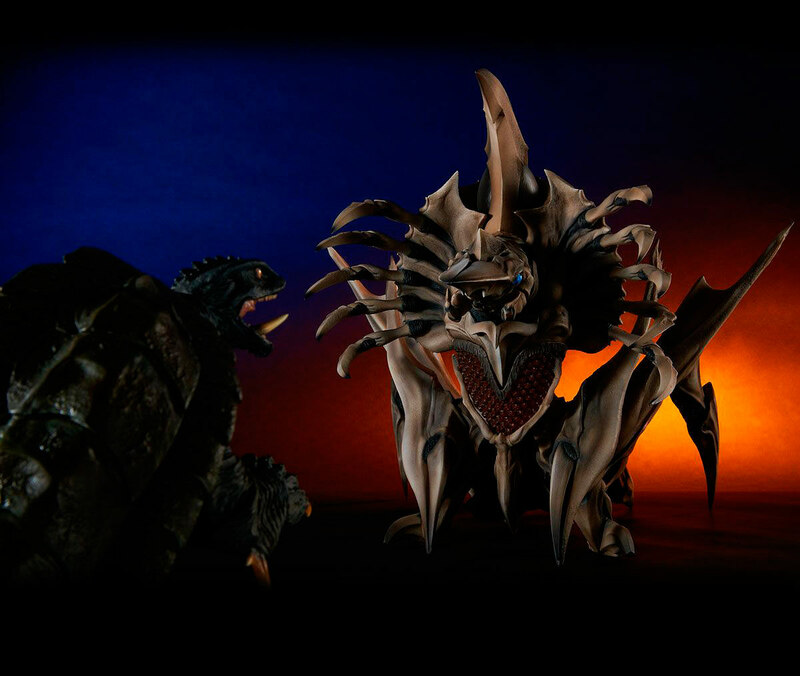 ULTIMATE DIORAMA MASTERLINE GAMERA 1999 VINYL STATUE. PHOTO COURTESY OF PRIME 1 STUDIO. Get ready for a giant-sized Gamera 1999 vinyl perfect for adding to your Gigantic Series collection. But it’s NOT from X-Plus. This big guy is being made by Prime 1 Studio and it’s due out in the third quarter of 2018. 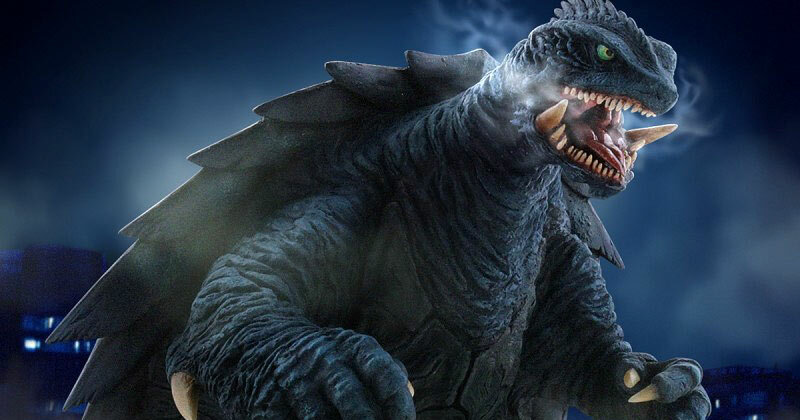 The Ultimate Diorama Master Line Gamera 1999 Vinyl Statue by Prime 1 Studio is based on Gamera’s appearance in the film Gamera 3: The Revenge of Iris. 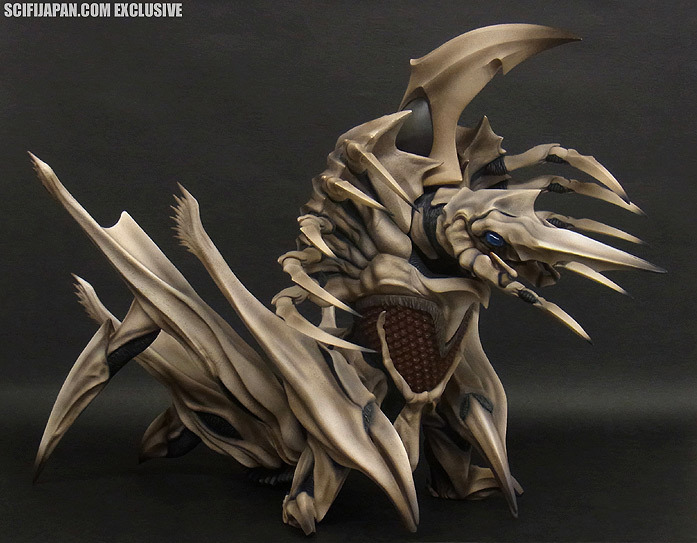 Rich Eso reviews the Large Monster Series Legion 大怪獣シリーズ 大映特撮編 「レギオン」 vinyl figure by X-Plus. It’s from what is arguably one of the very best kaiju movies ever made: Gamera 2: Attack of Legion, ガメラ2 レギオン襲来 (1996). 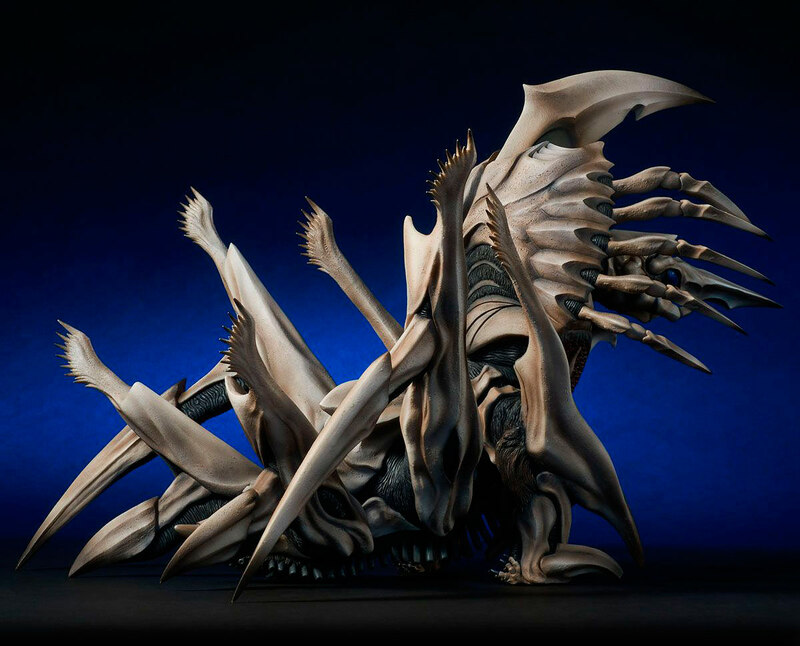 Leslie Chambers reviews the Daiei Large Monster Series Legion (大怪獣シリーズ 大映特撮編 「レギオン」) vinyl figure by X-Plus. • See more of Legion on Kaiju Addicts. Rich Eso‘s evil twin, Rick Esco Unboxes the Large Monster Series Legion and the Large Monster Series Kamacuras Ric boy by X-Plus. SciFi Japan has just posted an array of high resolutions photos of the recently announced Large Monster Series Legion vinyl figure by X-Plus which we reported on earlier here. And what’s extra special about this batch is that it contains many new photos seen there for the first time. Click on any of their photos for a super-close, exploded view on your monitor! X-Plus unveils Large Monster Series Legion… and it’s HUGE! • Price (Ric Boy): ¥44,820 ($435 USD), Order here. • Price (Standard / Hobby Search): ¥36,000 ($350), Order here. 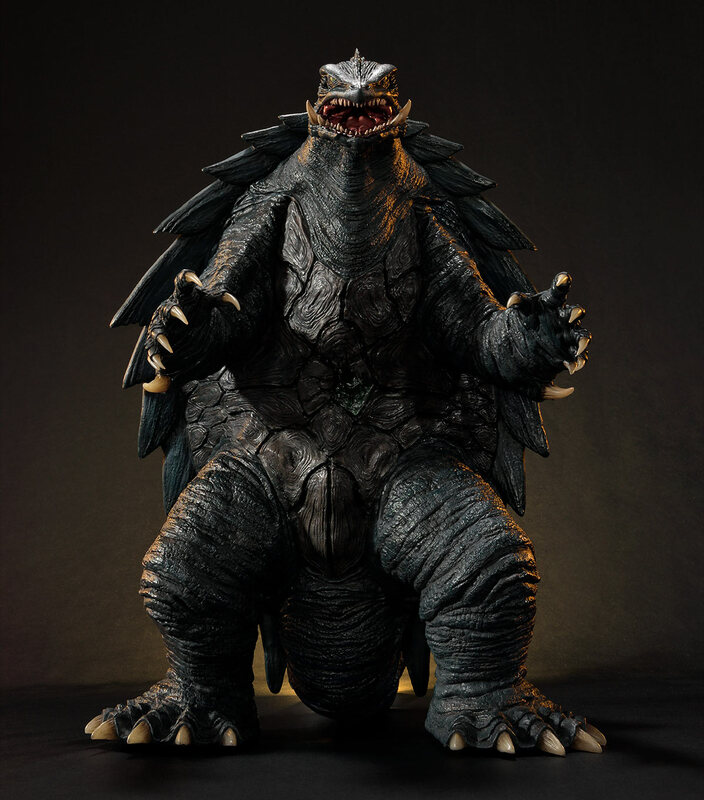 X-Plus today revealed the Large Monster Series Legion vinyl figure based on the 1996 film, Gamera 2: Attack of Legion (ガメラ2 レギオン襲来), one of the best kaiju films of the modern era. Legion has a frightening set of jagged, insectoid appendages including four sets of legs, one pair of forearms with nasty pincers and a crown sporting ten claws. All of these are faithfully reproduced on the vinyl with impressive detail and loads of shadowy highlights. There are some interactive options when posing this figure. The main head “pincers” can open and close. And the array of smaller claws behind the head are each individually poseable. Spread them out. Retract them. Or aim them in all directions like the jittery mandibles of real insect. At nearly 15 inches tall, the Large Monster Series Legion is a monster of a figure. 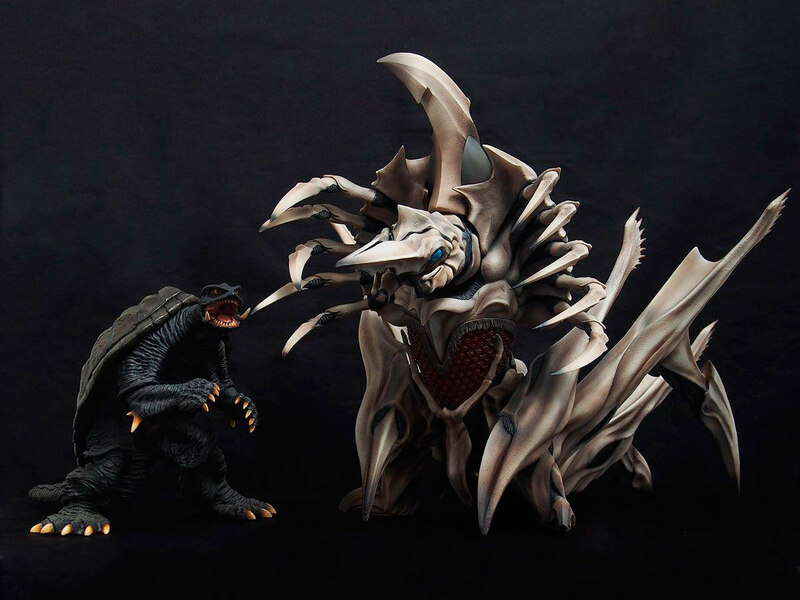 It towers 7 inches taller than its companion figure, the Large Monster Series Gamera 1996 which was released in June of 2015. It’s even 3 1/2 inches taller that the larger figures in the 30cm Series! As for length… get this: it’s 22 1/2 inches long; almost two feet! There will be both versions available. The Ric Boy exclusive edition will come with a light gimmick. As far as I can recall, the only options for lighting Legion are its blue eyes (red when angry) and the “nub” between his eyes which fires one of his energy weapons. But, is that really enough of a reason to dish out an additional $85? Hopefully, X-Plus has something more exciting up its sleeve. 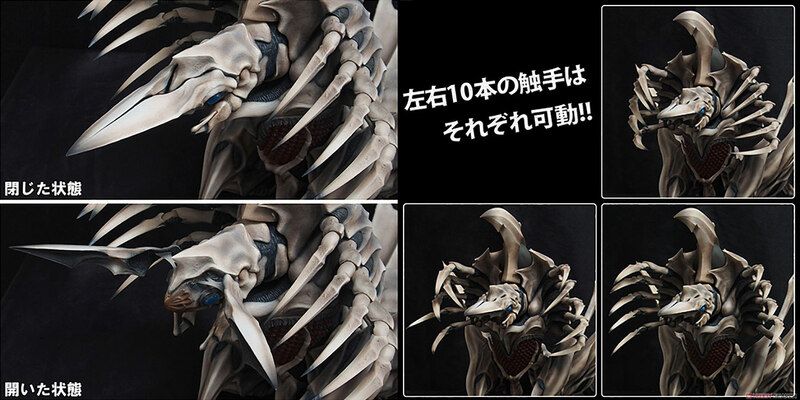 The Large Monster Series Daiei Special Effects Edition Legion vinyl figure is yet another amazing achievement by X-Plus. It will surely be the ultimate, movie-accurate Legion collectible you can get. And it will make your collection shine! • See NEW and HIGH RESOLUTION images of the X-Plus Legion at SciFi Japan! By John Stanowski|2017-05-28T07:57:34-04:00June 24th, 2016|Categories: X-PLUS NEWS|Tags: 1996, 25cm, Gamera, Large Monster Series|Comments Off on X-Plus unveils Large Monster Series Legion… and it’s HUGE! 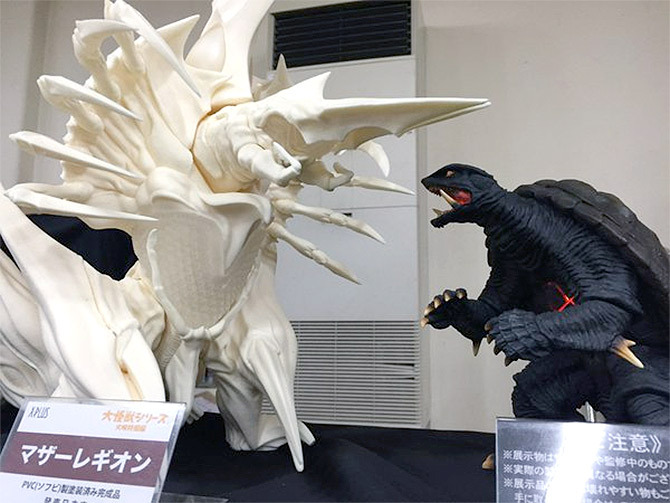 Leslie Chambers reviews the Daiei 30cm Series Gamera 1995 vinyl figure by X-Plus. He’ll be releasing more X-Plus Gamera reviews in anticipation of the upcoming Legion figure release so stay tuned. It’s been exactly twenty years since Legion first attacked movie theaters in 1996’s Gamera 2: Attack of Legion (ガメラ2 レギオン襲来). 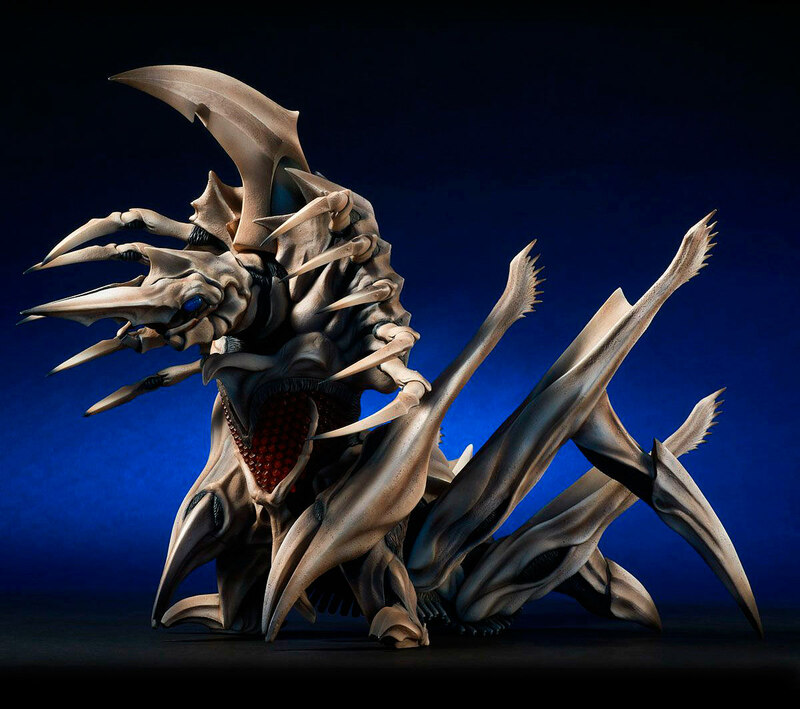 And X-Plus is right on cue with plans to bring this insectoid kaiju to vinyl on the film’s 20th anniversary. X-Plus tweeted this photo of the upcoming Large Monster Series Legion vinyl figure on their table at Super Festival 71 held in Japan. If you have the X-Plus Large Monster Series Gamera 1996 in your collection and he’s feeling lonely, be sure to tell him he’s due for some company. Also on display was the upcoming Gigantic Series Godzilla 1962 and a painted version of the upcoming Large Monster Series Leatherback from Pacific Rim.